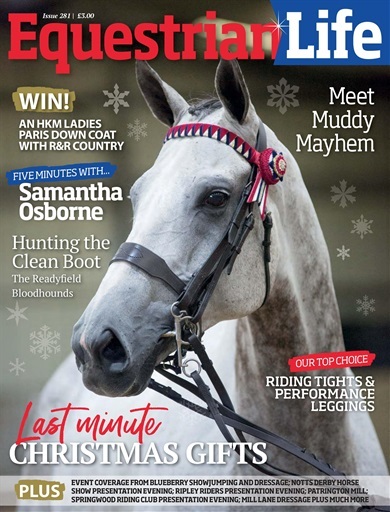 Welcome to the December/January issue. Meet Muddy Mayhem, learn about hunting the clean boot with the Readyfield Bloodhounds and spend five minutes with show rider Samantha Osborne. Enter our competition for your chance to win a fabulous coat courtesy of R&R Country or take a look at the presentation evening success stories. 39 Rural Life : Tis the Season!